Kung Hei Fat Choy! We wish you a prosperous Year of the Pig. 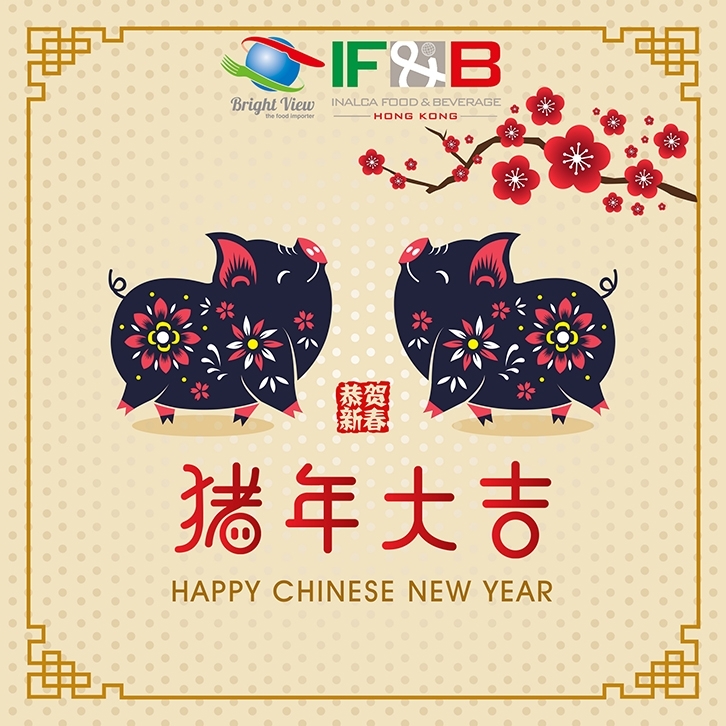 Our office will be closed during Chinese New Year holiday from 5th February to 7th February and resume duty on 8th February 2019. See you in the Year of the Pig! Bright View / Inalca F&B HK Team.